When I started working on this card, I had no idea what it was going to look like. 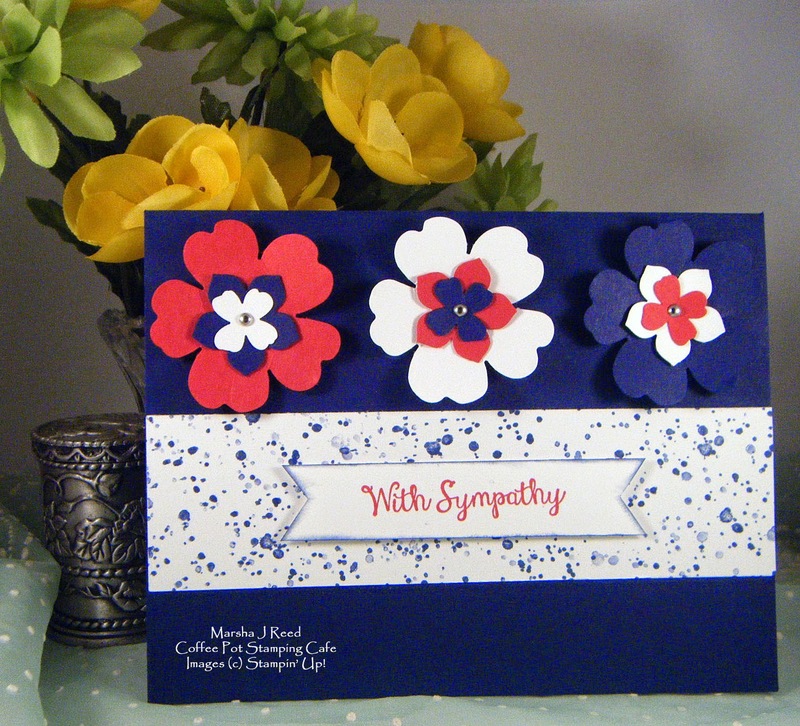 I wasn't sure the color scheme would work for a sympathy card but, I really do like the way it turned out. The red, white and blue made for a very nice combination. 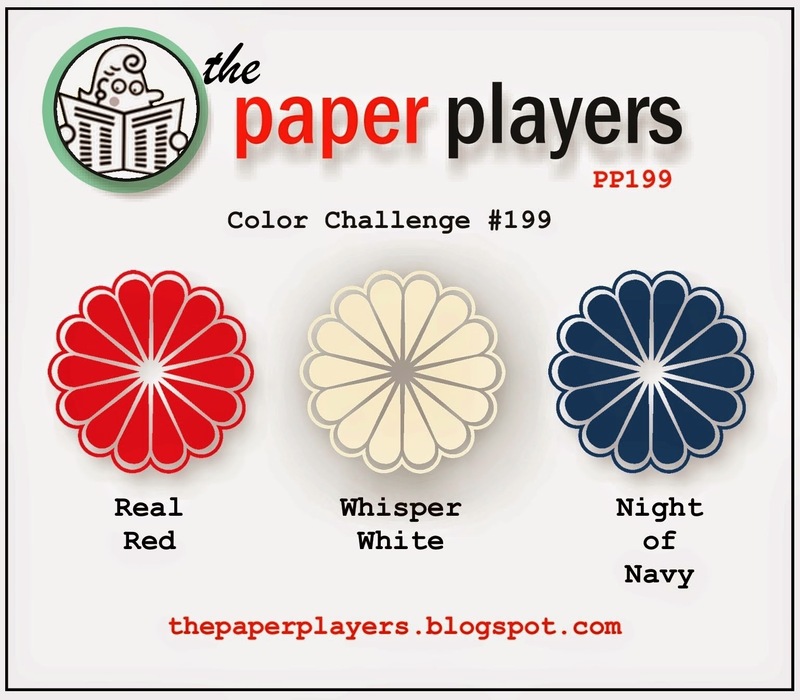 The colors I used came from The Paper Players Color Challenge #199. You can find it HERE. 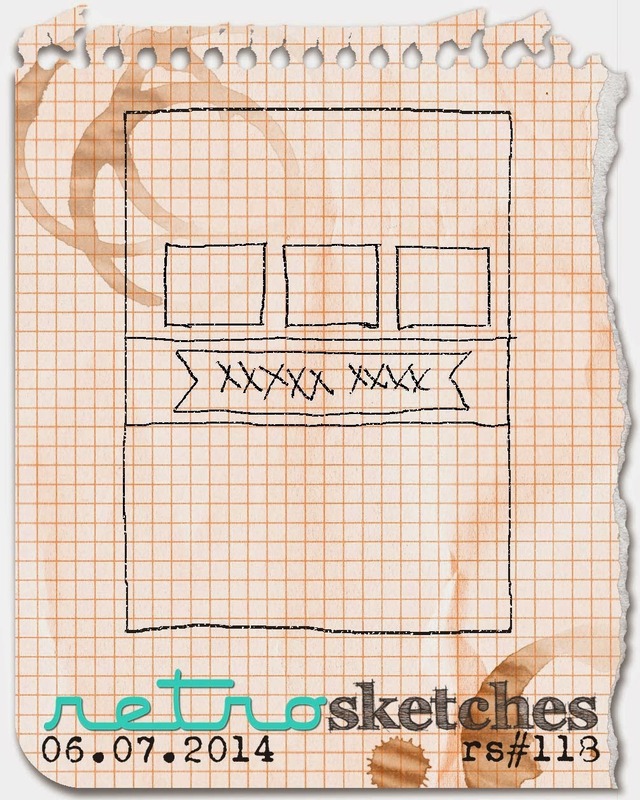 You can find the sketch I used HERE at retrosketches. A wonderful way to use the challenge colors, Marsha! I love the layout, too. Thanks for playing with The Paper Players this week!